Like the idea of chomping on satay in a park, like the 1970s? 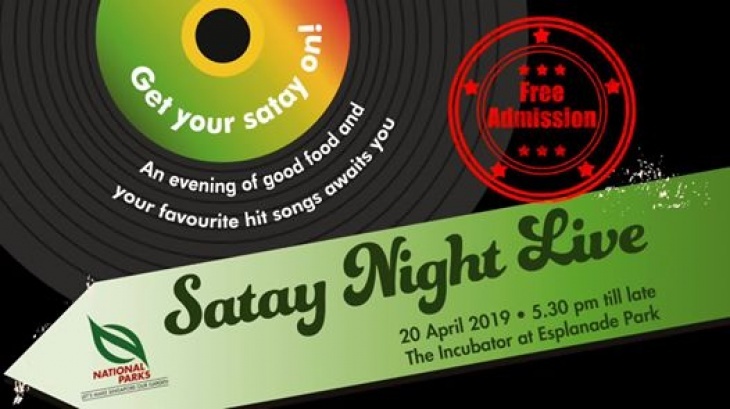 Join us at Satay Night Live at Esplanade Park on 20 April, 5.30pm onwards, to relive those good old days! Besides satay, there are other halal dishes like sup kambing, mee soto, otah and even durian. Enjoy live entertainment by our local artistes ShiLi & Adi, The Vibes, Douglas Oliverio and his band Energy and buskers Jill-Marie Thomas, Jordin Tan and Raphael Leong at the Party Zone. Over at the Chillax Zone, set up your picnic mats and tuck into some durian, the King of Fruits! Families can also dine in air-conditioned comfort at the Family Zone, complete with a kids’ play area.